Memory pillow in viscoelastic material, drilled HD Foam; internal insert in Blue Foam. Covered with 3D Mesh lining; external cover in CoolMax® fabric. It supports the downloading of neck muscle tension in the neck area. Running Soft is designed to ensure the recovery of the runners who prefer to sleep prone (face down). In the practice of the race it is often experienced a functional overload, distributed throughout the spine, this due to the micro- prolonged and repeated trauma resulting from the impact on the ground. Intense workouts or poorly programmed training, associated with the oscillatory movement of the upper limbs, and to poor choice of shoes, can lead to the onset of diseases at the lower cervical spine, ranging from simple muscle problems up to the most complex implications of the osteopathic - joint. 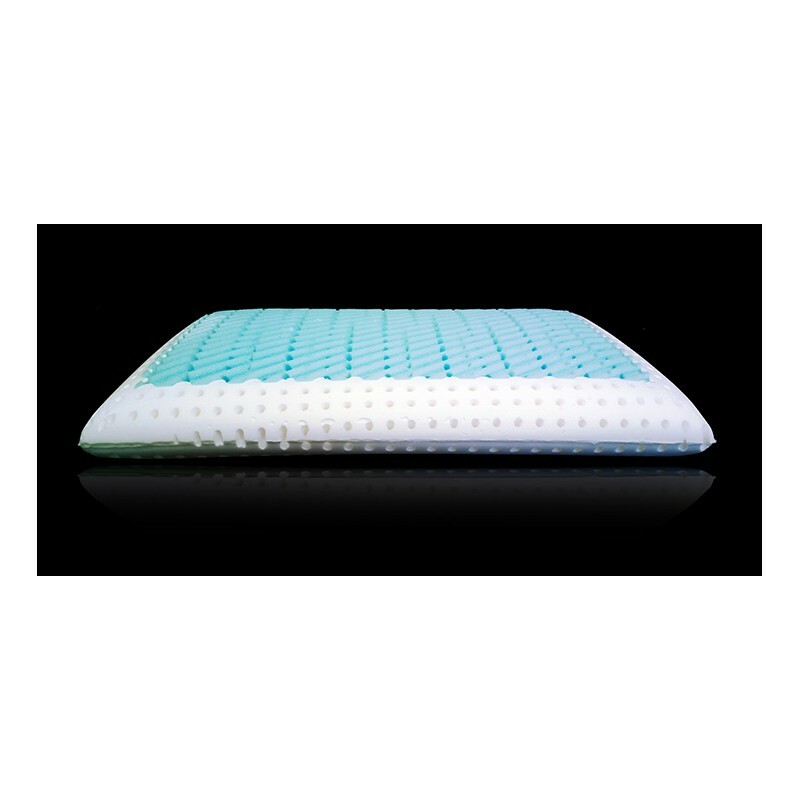 Running Soft pillow allows the cervical area an effective relieve, for a fast and functional recovery. Position Running Soft is suitable for those who sleep supine (belly up).